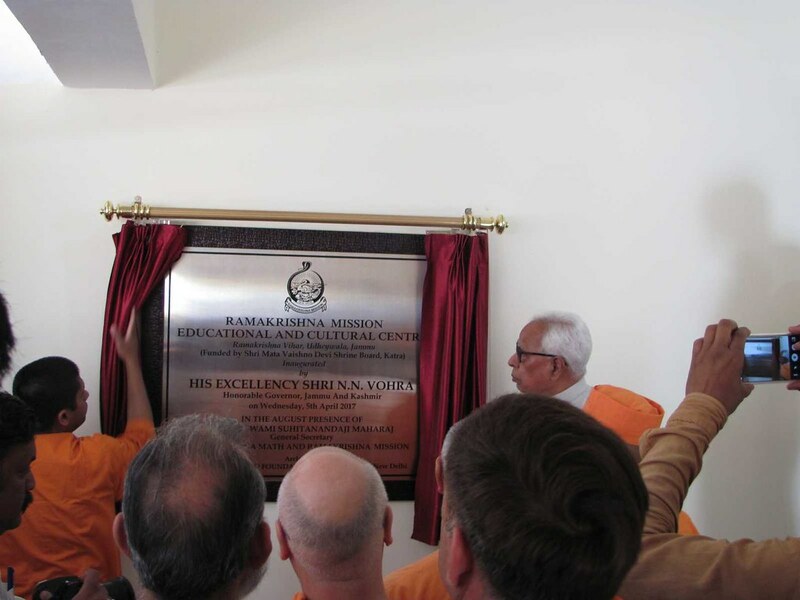 Our Jammu Ashrama has started a new service centre on 5 April 2017, the sacred Ram Navami Day. 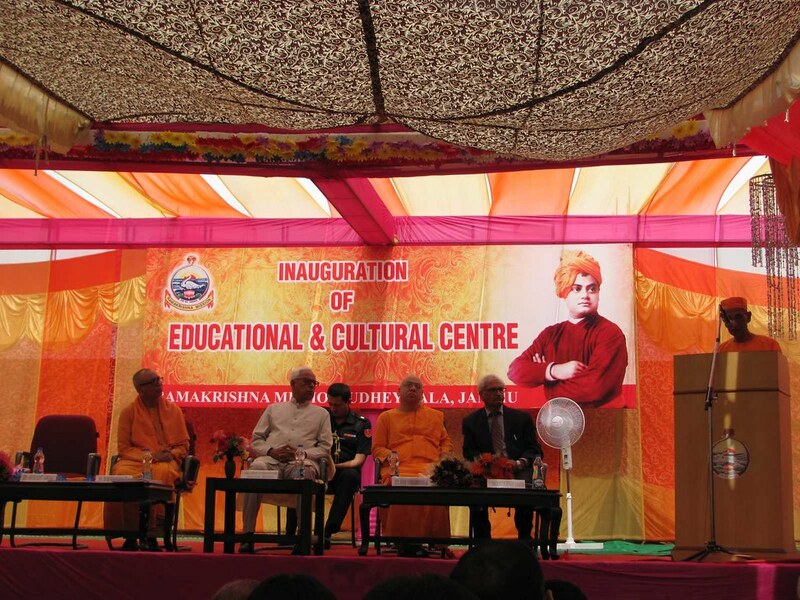 Its name is ‘Educational and Cultural Centre’. 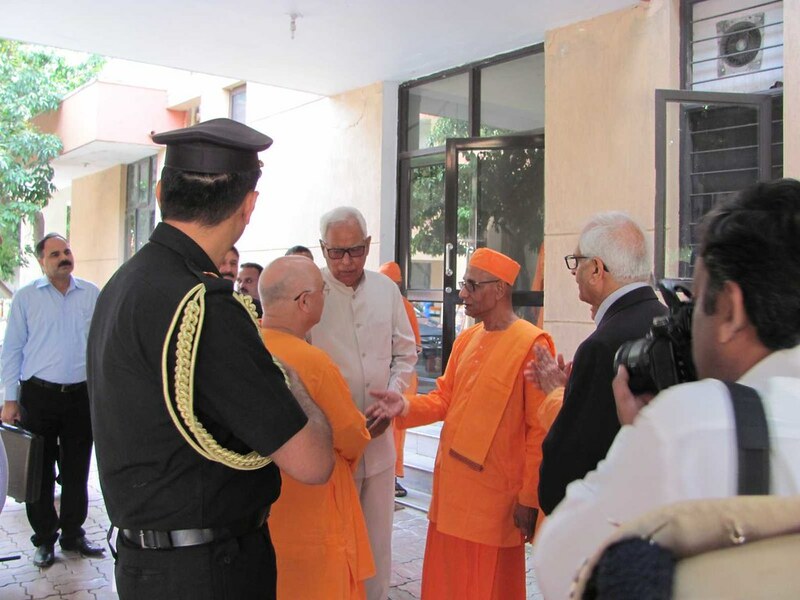 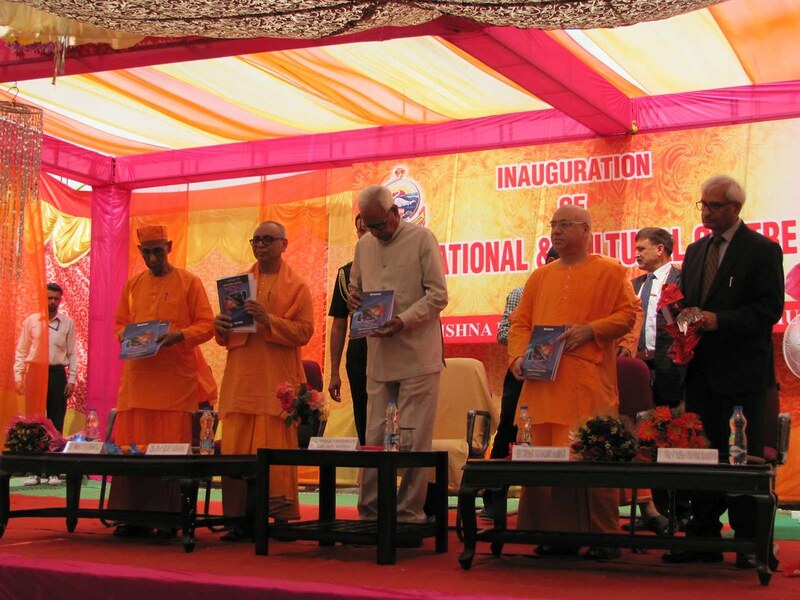 It was inaugurated by His Excellency Shri N. N. Vohra, Honorable Governor, J & K State in the august presence of Srimat Swami Suhitanandaji Maharaj, General Secretary, Ramakrishna Math and Ramakrishna Mission at 11.00 am on 5 April 2017. 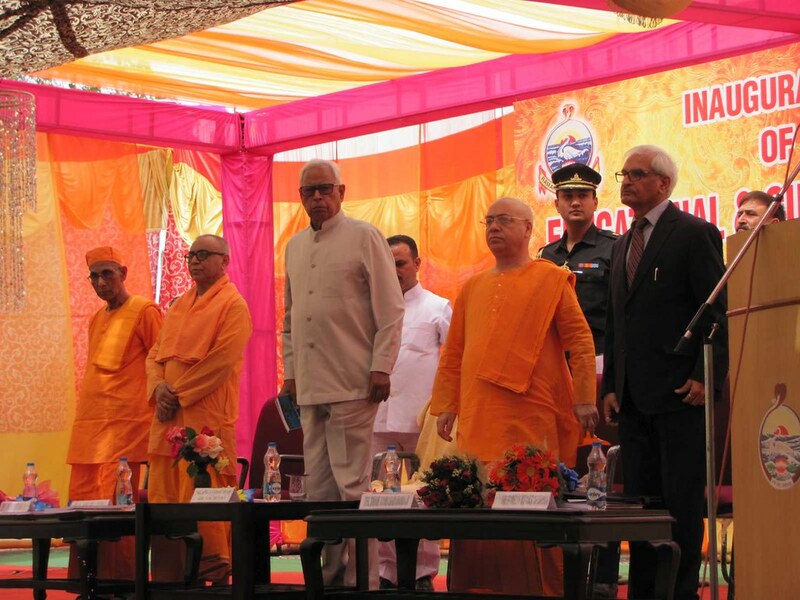 Honorable Governor was received by National Anthem played by BSF, Jammu Range. 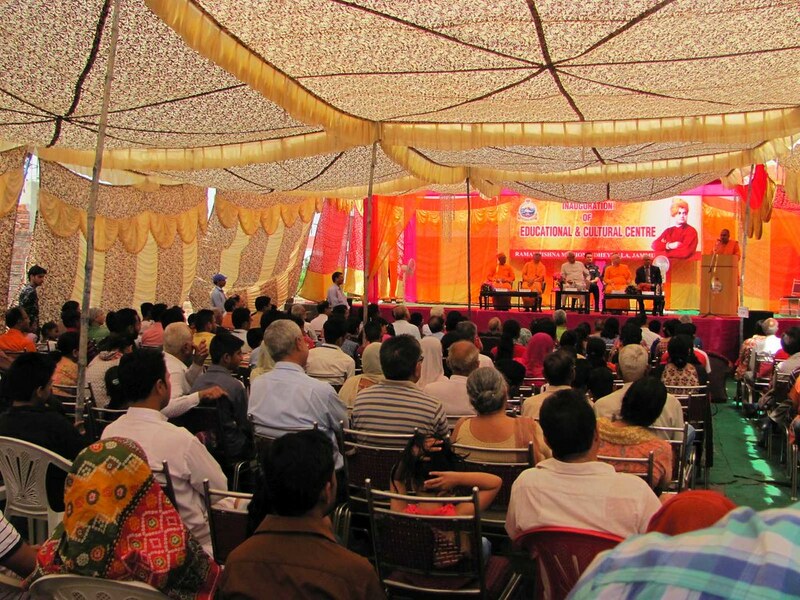 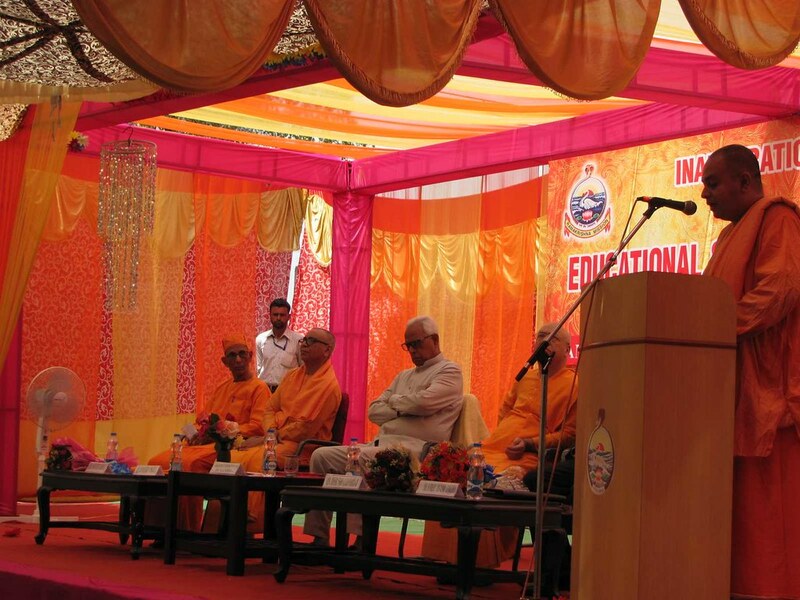 In this connection a meeting was held in which the secretary of Jammu ashrama, Swami Nirantarananda, delivered welcome address. 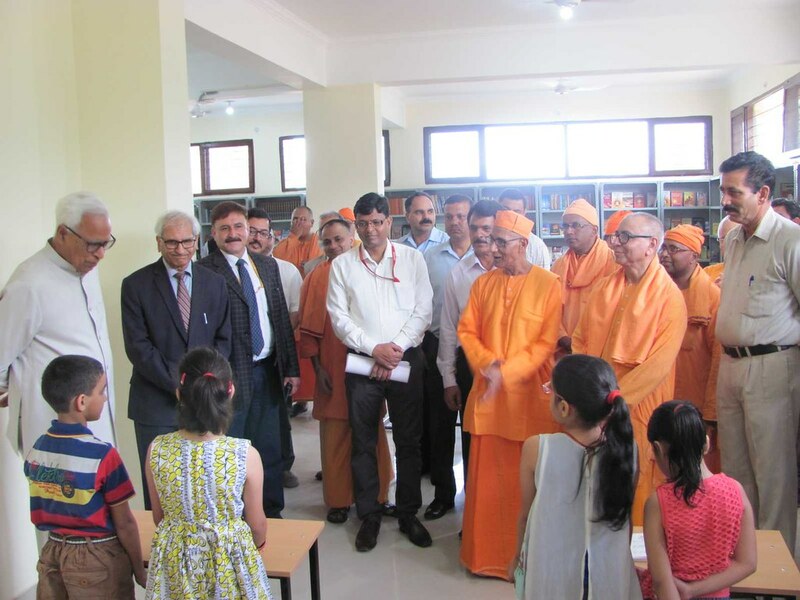 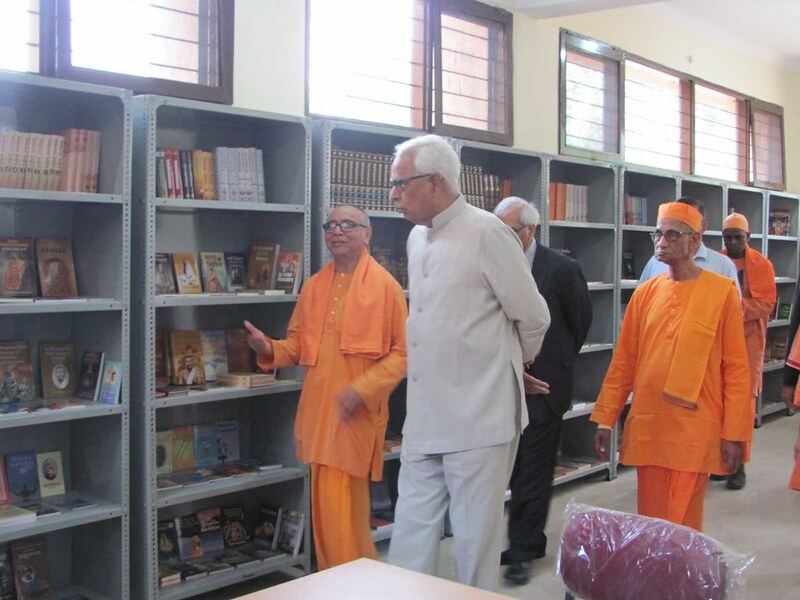 Swami Vedatitananda, Correspondent, Ramakrishna Mission Shilpamandira, Belur, explained the service activities proposed in this newly constructed three-storied building. 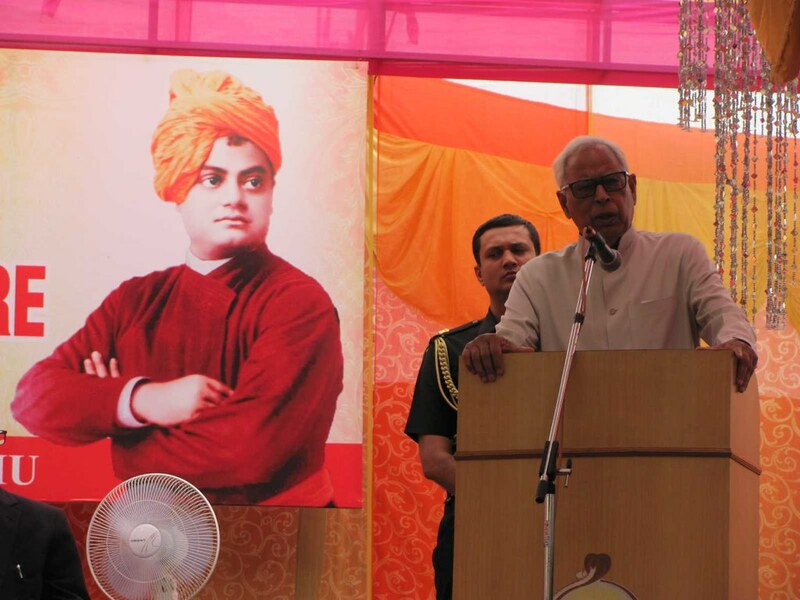 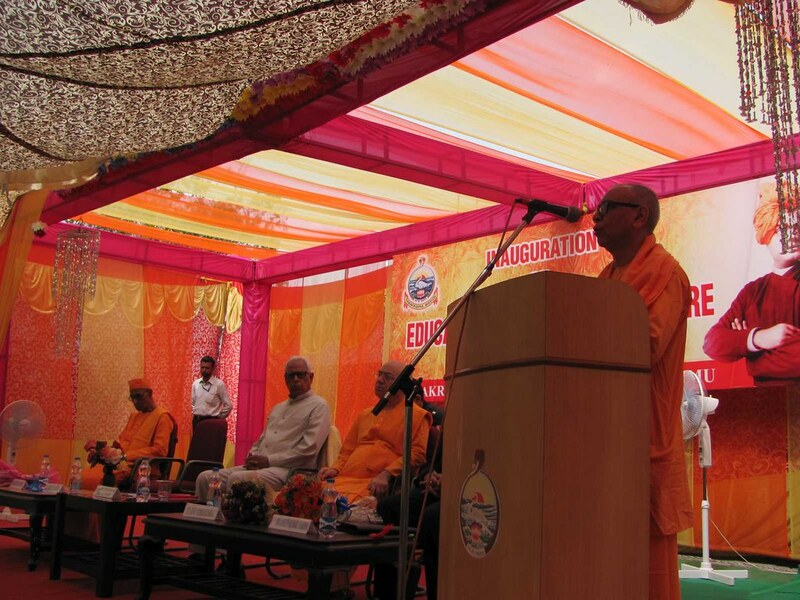 Then Swami Suhitanandaji gave a short speech. 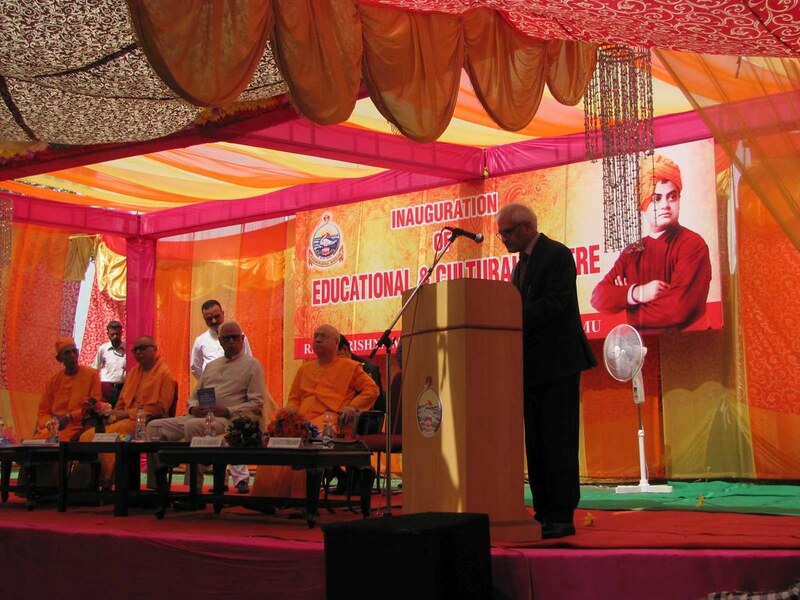 The Governor released five study materials for the students for the computer training, and delivered his speech in which he appreciated the activities run by the Mission and hoped that the Jammu centre too would be useful in advancing the prospects of the younger generation and serving the interests of the public at large. 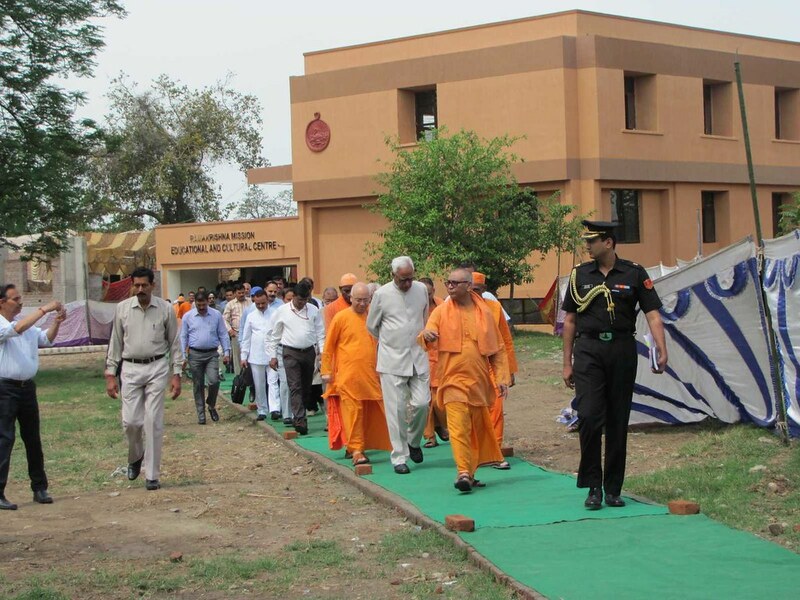 The meeting came to an end with the National Anthem. 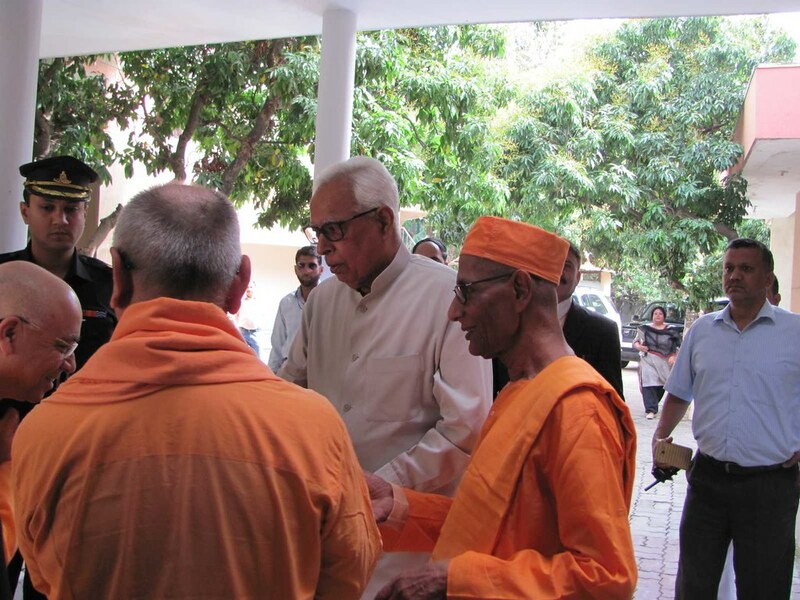 It was attended by about 200 devotees/admirers and 15 Sadhus. 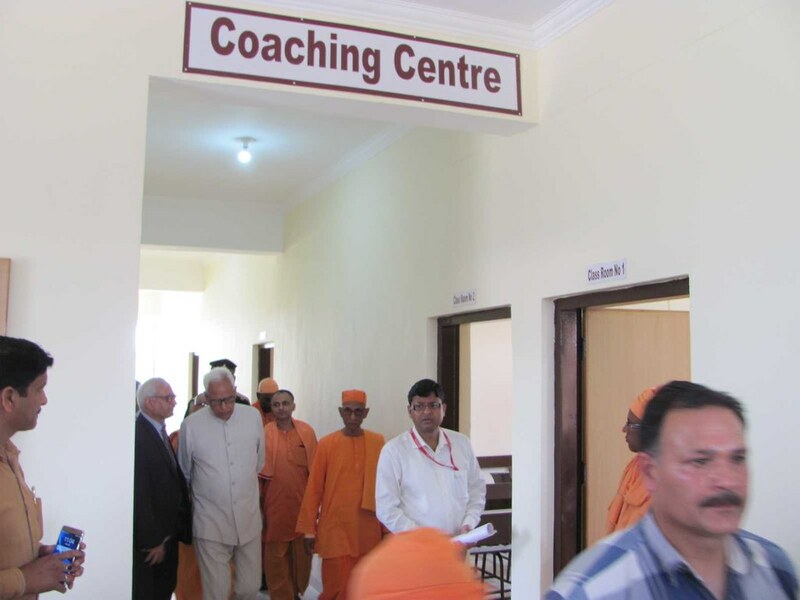 This building was constructed with the funds given by Shri Mata Vaishno Devi Shrine Board, Katra.